As you start planning your trip to Costa Rica, we suggest that you begin by reflecting on your past travel experiences. Review your top two or three travel experiences and further reflect upon how you prepared yourself for those adventures. What amazed you? What would you do differently? Keep in mind that age and life responsibilities are constantly changing variables that need to be considered in this reflection phase, but take these learnings and apply them to your planning efforts for your upcoming Costa Rica trip. 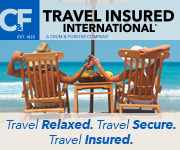 Planning a trip to Costa Rica with expert itinerary planners will prevent a waterfall of stress. Look for the right source of information. Websites and travel books are good (be demanding with the websites) but there is nothing better than real people that are experts and know Costa Rica. Consider choosing a pre-arranged itinerary designed by passionate experts with lots of local knowledge. Know your travel style, hobbies, and passions that must be included in your trip. How much time do you have? The more, the merrier! What is your budget? Remember that Costa Rica can be expensive. Do you know of specific places, things, activities you want to visit/see/do? Do you mind the rain? Learn about Costa Rica’s weather. Be wise about the kind of transportation you choose. Inform yourself about the kind of accommodations there are in Costa Rica to choose well. Always hire local guides to make the most out of your experience. Be open to new things, like delicious food! Once you have decided to plan a trip to Costa Rica, there are countless ways to make it happen…and countless ways for it to go wrong if done without expert consultation. This process should be enjoyable and as interactive as you want it to be. With what appears to be an unlimited (and overwhelming) amount of travel resources out there, it is important to determine what is quality information and the best for you. Chances are high that the average traveler will not visit Costa Rica more than once in his or her lifetime. This information would dictate that it would be in one’s best interest to make ensure his or her Costa Rica vacation is the absolute best it can be. To accomplish this goal it is important that the traveler be well informed and/or advised going into (and throughout) the planning process. To do this, it is increasingly more important that travelers understand and properly utilize the information and resources available to them. While the internet is a great resource, it is of our strong opinion that personal interaction from Travel Professionals is best. Traveling is and should be a very personal experience. With all of the marketing efforts out there, coupled with the ease of acquiring information from the Internet, it is difficult to make planning a trip personal without speaking directly to an expert in the industry and/or field. In our opinion, the person-to-person connection in the travel planning process is an extremely valuable element that is often overlooked. While a phone conversation is great, email exchanges work very well, too. This interaction, in the very least, can provide the traveler with a general direction or idea of where, or in some cases where not to take their efforts. In many cases, this personal interaction evolves into a very positive experience that educates the travel planner, not only about the region they are visiting but also about how to best utilize general travel resources for the future. While organizations like Costa Rica Escapes know and pass along information on Costa Rica trip planning, these professionals also understand the ins and outs of “how to travel” and can educate people on best travel practices. Itinerary designers like those at CRE have a passion for the art of traveling and understand there is more than one way to travel. These professionals look forward to sharing this knowledge with their clients and ultimately want to assist individuals to create an unforgettable travel experience. Costa Rica trip planning with the experts will prepare you for a river of new culture and experiences during your trip. We know and understand that many people out there just want to get to the end product and enjoy the vacation – whatever that may be! We also know that many people enjoy the planning process, almost as much the actual vacation portion of the trip. For both of these traveler types (or any combination thereof), there are plenty of options, resources and customization techniques available. Costa Rica Escapes has pre-arranged itineraries that can be reviewed by the traveler to get the ball rolling. These are listed right here on our website on the Costa Rica Itineraries page. Often times these itineraries are a means to get the creative juices flowing for the travel planner. They are great tools to begin the customization process for the traveler(s). How to Plan a Trip to Costa Rica, The Easy Way! For those who just want it done for them; a brief conversation or email exchange is necessary. It is very important to find out one’s travel style and pair them with the appropriate itinerary. There are always hot-buttons or hobbies that can dictate which itinerary would be best to start with. If someone wants to surf or take multiple days to go deep-sea fishing, it is important to know this. Also, there are some travelers who have a fear of heights; in this case, a canopy tour might not be a good idea! After a brief exchange, the Itinerary Designer has enough information to design a couple of sample itineraries. The traveler can then just pick one and go! For those who want to be part of the process, we encourage you to challenge the organization that you are working with and offer you ideas, thoughts, and desires for a customized trip. You’ll find that Costa Rica Escapes works well like this and will be able to offer you some creative ideas for your trip. If the travel organization tells you this is not possible, that is probably a great sign that you should look elsewhere. How long will you plan your Costa Rica vacation to be? Your allotted time is the guiding factor in itinerary planning. Length of Your Costa Rica Vacation? The first quest we will ask our travelers is: How long will you be traveling through Costa Rica? This will indicate the type of trip that you are looking to create. If you have unlimited time or even a few months to travel this beautiful country, chances are pretty high that your attitude, desires and budget abilities will be quite different from the working professional, who is taking one week of vacation time to get away from it all with his or her significant other or family. With extended time, it is also very easy to visit numerous locations and make travel decisions as you go. Do you know when and where you want to go? While some people have some initial thoughts or ideas, the majority of people, regardless of the duration of their travels, don’t know the answer to this question and will rely on research and others to guide them here. In many cases, people will tell us that they want to visit the beach, the rainforest or the cloud forest and go from there. This type of traveler is the most common and is probably visiting Costa Rica for the first time and might not come back for a while. (S)He is looking to make the best of their trip and optimize their valuable time in the country; therefore, this type of travelers relies heavily on Costa Rica Escapes to make recommendations and suggestions based on in-country knowledge. Many travelers know they want to visit specific landmarks like the Basilica, which further helps to plan your Costa Rica vacation itinerary. The select few that do have a specific or even general answer to this question tend to be very well researched on traveling through Costa Rica for one of two reasons; either because they have been to Costa Rica before or their hobbies dictate to them the best places(s) to go in order to do what they love. Those that have a specific goal on their trip based on their hobbies, interests or past experiences value an organization like Costa Rica Escapes to take their trip to the next level and tell them where and how they will be able to accomplish their goals and see what they want to see. A travel organization like Costa Rica Escapes fills in the key missing pieces of the puzzle and assists them in building the absolute best and most effective trip for the travelers. For example, a group of surfers or anglers might want to make sure they ride a certain type of wave or catch a specific type of fish during their trip. We will not only tell them the mainstream options to do this but we will let them know about a few off-the-beaten-path options to consider. It is always best to take a step back and evaluate oneself as a traveler and determine the best method(s) for you and your travel companions to use. The in-depth knowledge of professional organizations like Cost Rica Escapes can be priceless and make the difference between a good vacation and an unforgettable one. Whether it is help with a long-term volunteer placement and language school or connecting someone with hidden surf break in the Osa Peninsula, Costa Rica Escapes can be an asset in all planning their trip to Costa Rica. The attitude of most travelers is wise and the majority understand that trips like this to parts of the world like Costa Rica only come around so often; therefore they realize the value of knowledge and want to take full advantage of their time by making sure they experience this country to the very best of their abilities. Ready to plan your trip to Costa Rica? Contact us to get started!